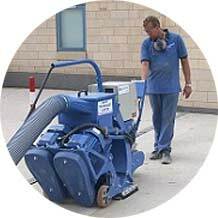 Captive shot blasting combined with diamond hand grinding is an ideal solution for preparing concrete factory floors were access is minimal i.e. in and around plant, machines and other obstacles. 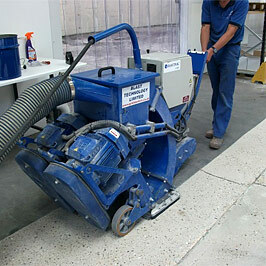 No airborne dust is generated during the operation which means minimal disruption to the client and their production. Which factory floor preparation services do we provide? 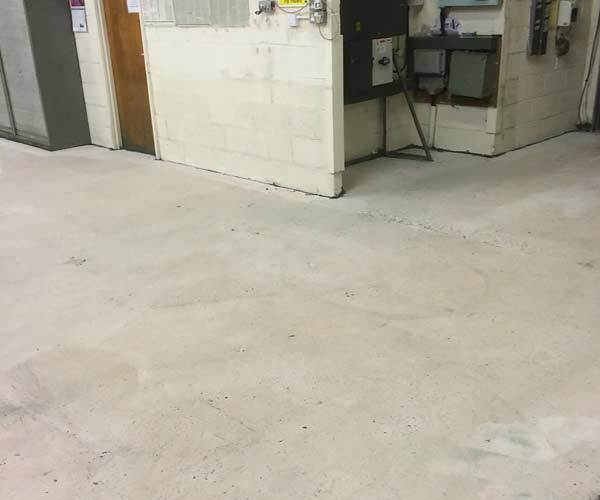 The client needed the existing failed coating removing in readiness for a new heavy duty epoxy system. Using our equipment we were quickly and easily able to carry this out in around a day, this meant minimal disruption to the client and his employees enabling them to carry on production whilst the operation was being carried out. We utilise a comprehensive range of state of the art equipment supplied by Blastrac. 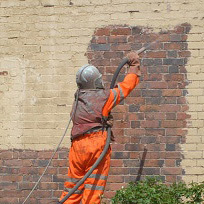 Blastrac systems are the preferred method for surface preparation used by professional contractors and recommended by coating manufacturers for a wide range of applications. Correct preparation is vital to any floor installation, and with 24 years experience in surface preparation we feel we are more than able to advise on and provide the correct method of preparation. 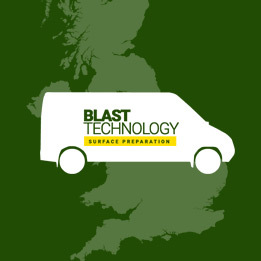 Blast Technology are based in Leicestershire in the Midlands and provide a nationwide service throughout the UK using our own fleet of vehicles fitted with onboard generators and compressors. This gives us the flexibility of being fully self-sufficient and without the need of any on-site power requirements.